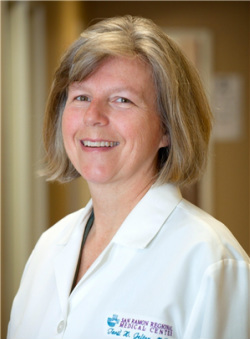 Dr. Toril H. Jelter is a general practitioner and board certified pediatrician with over 30 years of experience. She was born in Oslo, Norway where she later studied medicine at the University of Oslo, graduating with honors. After graduation Dr. Jelter worked at a Mother-Child clinic and later for the Norwegian Cancer Society helping women with gynecological cancers. After moving to the United States in 1989 with her husband and two young sons she trained to become a pediatrician at Overlook Hospital in Summit New Jersey, an affiliate of the Columbia School of Physicians and Surgeons. After completing her residency she joined Robert Wood Johnson University Hospital and St. Peters Hospital and worked in a wide range of clinical settings from private practice to HMO's. In 1999 Dr. Jelter and her family decided to move to California where she joined Bayside Medical Group, a large primary care group in the Bay Area. It was here she had the life changing experience of witnessing the recovery of a young boy from autism over 3 years of treatment. Dr. Jelter knew that if one child with autism could significantly improve there had to be more children that could improve unlike what most medical textbooks predict. This jump started her journey on the path to integrated, holistic, wellness medicine. After dealing with a serious health challenge of her own with an integrated, holistic approach she found that this was the best option for most chronic conditions of today. Today she feels better than ever and enjoys sharing her knowledge and experience with those in need. The cornerstones of her approach to good health involve a foundation of nutritional excellence, strategies for sheltering oneself from adverse exposures and strengthening of the mind and body. In addition to offering pediatric services she also sees adults for specific problems like metal hypersensitivity (see the MELISA Medica Foundation website). Metal hypersensitivity can contribute to autoimmune illnesses such as Multiple Sclerosis, Chronic Fatigue, Fibromyalgia, Psoriasis, digestive problems, Asthma, EMF sensitivity, Autism and much more. Dr. Jelter has trained to become a Defeat Autism Now provider. She also provides advice for people with electromagnetic hypersensitivity. The most common symptoms of this ailment are headache, thought processing difficulties, memory impairment, heart palpitations, sleep problems, general malaise, blurred vision, weakness, dizziness, chest discomfort, muscle pain, tinnitus (ringing in the ears), fatigue, nausea, night sweats, restless legs and numbness or tingling. Another key factor is that the symptoms change with location and EMF (electromagnetic field) exposure, often improving outdoors. Currently Dr. Jelter is researching biofeedback with biophotons. See the article “Standing in the Light @ Odewire and the website biontology.com for more information. All in all Dr. Jelter enjoys offering the S.E.A.S. approach to chronic conditions, that is Safe, Effective, Affordable and Scientifically based. Dr. Jelter is fluent in English and Norwegian and has a working knowledge of Spanish. In her free time she enjoys spending time with her family outdoors walking or skiing, gardening (Google Biointensive Gardening + John Jeavons) or volunteering for the Heart of Sailing (See the Heart of Sailing website). This is a non-profit that takes children with neurodevelopmental problems out sailing.